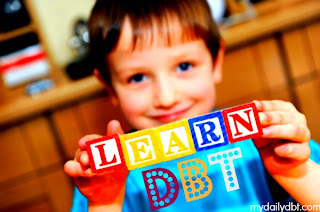 While I put a great deal of time into my blogs, which reach my adult peers, I also have an ambitious but achievable long-term goal of creating a DBT (Dialectical Behavior Therapy) program modified to be age appropriate for school children. Beginning January 2013, I start my master's program in Interdisciplinary Studies. My focus areas are Writing, Psychology, and Social work. My undergraduate degree is also in Interdisciplinary Studies, and my focus areas were Behavioral Science, Communication, and English. I also hold a certificate in Early Childhood Development, also known as an Associate Child Development Teacher credential (20 ECE units). I worked for a year and a half in a social work position as an intake coordinator and case manager at a non-profit organization serving families with children at risk for abuse and neglect. Unfortunately, I had not yet done my own inner personal work and was unable to maintain the position. Two years and DBT later, I am ready to embark on this mission. As an adult, DBT has radically changed my life, and I have often thought of how different my life would have been if these tools had been presented and taught to me in grade school. I want to bring these possibilities and more to children through these skills through a fun, engaging, pyschoeducational program to serve as a "Life Skills" class as well as early intervention for children with behavioral problems. I look forward to any thoughts you might have around manifesting this dream into a reality. Please only use this email for this purpose. P.S. Here (via the Facebook page for my other blog) is how people responded when I asked how their lives may have been different if they had learned DBT skills in fourth grade and how they think the skills would help today's children.